This magnetic game is very easy and practical to take with you wherever you go. 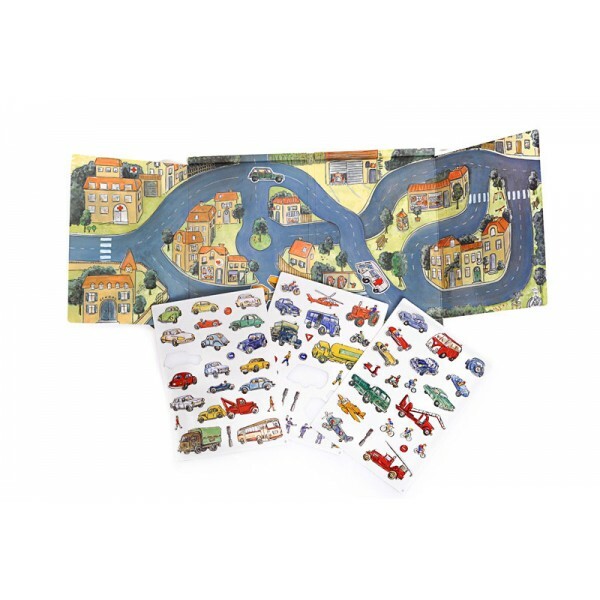 The fold-up case with handle opens to form a play scene town with roads and buildings. It comes with a variety of detachable, magnetic pieces to complete the pictures and provide lots of opportunity for imaginative play.